A small, well-designed client gift can be just as impactful as a large client gift that's overflowing with items. Less really CAN be more! 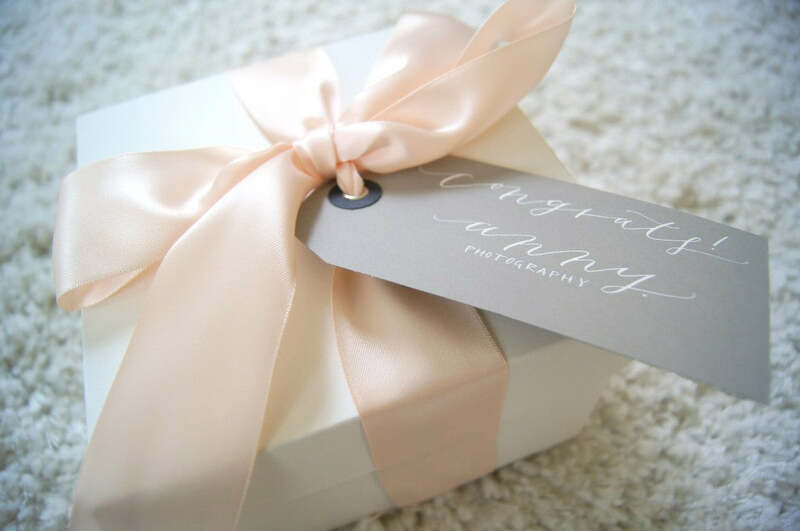 Today I'm excited to share with you custom client gifts designed for Ann Hoang, owner of Anny. Photography. The gift box was small with a few items inside but boy did these gifts make an impression with her clients! I began by incorporating her branding colors of blush, white, grey and black. The gift contents were spa-inspired or amenity-type items, all in the same color palette. 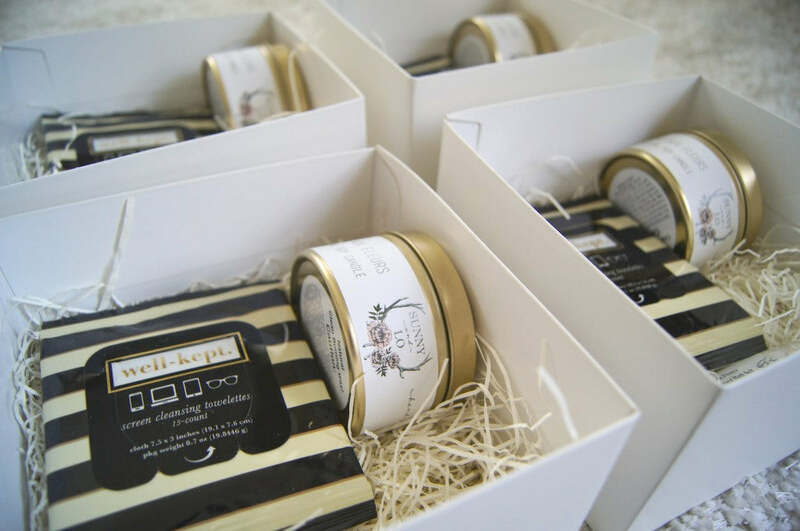 Electronic wipes, an artisan candle and small batch bath salts fit perfectly inside mini two-piece gift boxes. Especially with a small gift, finishing touches matter. I opted for hand-lettered calligraphy tags, white ink on grey with black grommet. 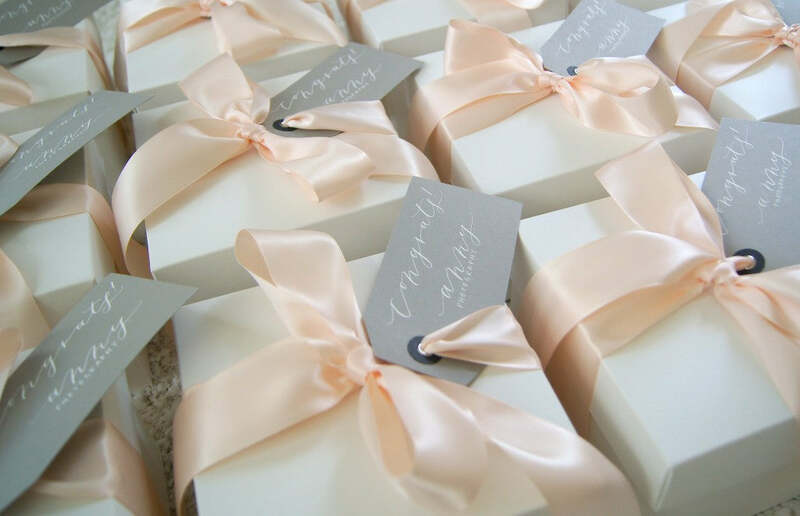 Each box was tied with double-sided satin ribbon in blush pink. Since creating this initial batch of gifts for Ann, she has already been in contact to order more. She's obviously been busy signing on brides and giving gifts! It's time for us to get to work on more gift assembly. 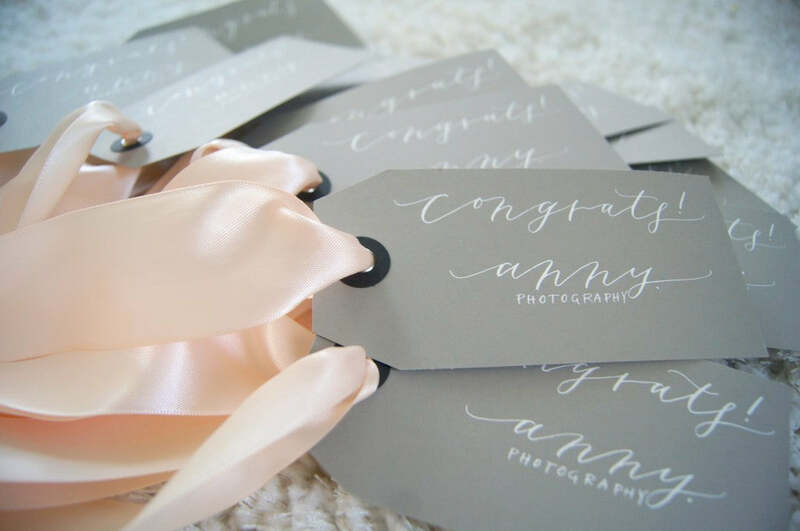 Congrats Anny Photography on the growth of your business!